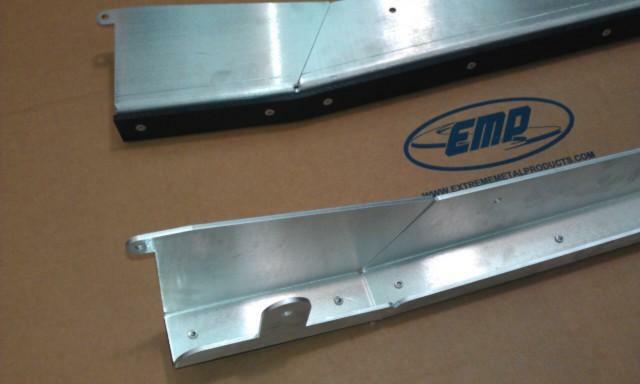 Get some of the best trailing arm guards on the market with this American made set of two (driver's side and passenger side) from EMP. 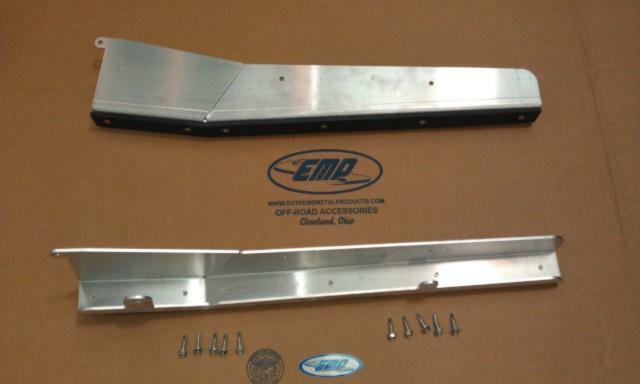 The guards are CNC cut from 3/16 inch thick 5052 aircraft grade aluminum. The bottom has 1/4 inch thick UHMW (High Molecular Weight Plastic) glides riveted to the guards giving them a quiet gliding and impact absorbing surface. 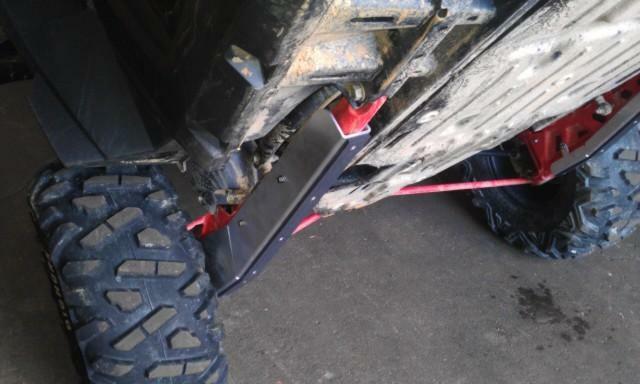 They attach to the stock trailing arms with self drilling screws. All installation hardware is included, and this product is made in Cleveland, OH, USA. Fits: 2011-2014 Polaris RZR XP900 and 2013 RZR XP900 Jagged X Edition. Made with 3/16 inch thick 5052 Aircraft Grade Aluminum. 1/4 inch thick UMHW Glides riveted into guards, creates impact absorbing surface. Sold as set of 2 (Driver's side and Passenger's side). Guards attach to the stock trailing arms with self drilling screws.